Fig. 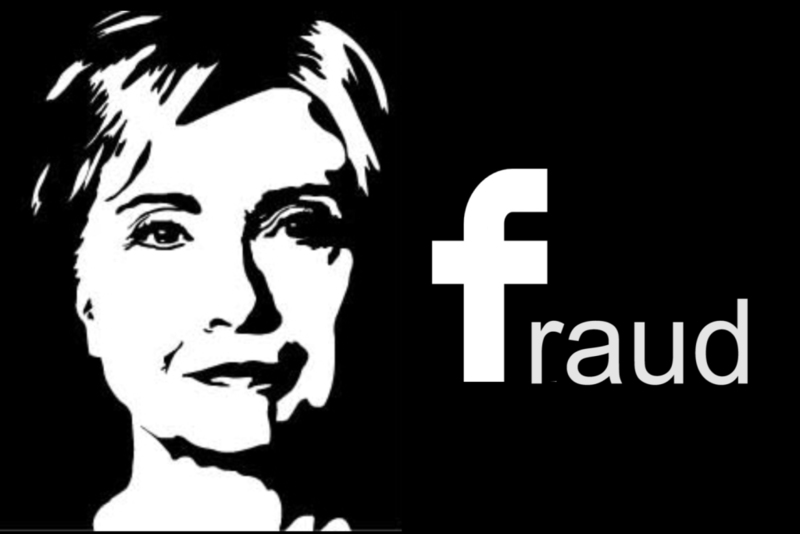 1 – Hillary Clinton as Secretary of State obstructed justice by interfering in dramatic ways in the Leader v. Facebook patent infringement trial & U.S. elections. Much of this evidence was obtained through Judicial Watch Freedom of Information Act (FOIA) lawsuits of Hillary's illegal private email servers. The Paradise Papers confirm AFI's research that the $200 million Russian investment in Facebook that pumped their pre-initial public offering valuation to $100 billion came from Vladimir Putin through his intermediary Yuri Milner and DST USA. 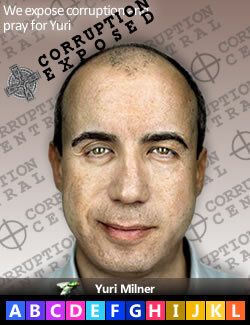 Currently hidden from the current coverage is the fact that Yuri Milner is a disciple of Larry Summers from 1993 when Milner worked for Summers at the World Bank alongside Sheryl K. Sandberg, the present chief operating officer of Facebook. Click here for The Guardian coverage. Click here for an AFI Timeline update. See detailed evidence from previous AFI research on Facebook's Russian controllers at AFI. (May 12, 2016). Hillary's Secret Offshore Financial Empire. Americans for Innovation. Pray for Larry Nichols. Spread the word. Listen to Larry Nichols' warn the Deep State shadow government on this corruption. Larry Nichols was a senior political advisor to the Clintons who has survived Arkancide to date and produced THE CLINTON CHRONICLES (1994). "Arkancide" is a term that has arisen to describe the legion of suspicious deaths that have occured to former bodyguards, employees and advisors to Bill and Hillary Clinton via plane and car crashes and "suicides." Click a timeline and names of Clinton "friends" who have been Arkancided. Fig. 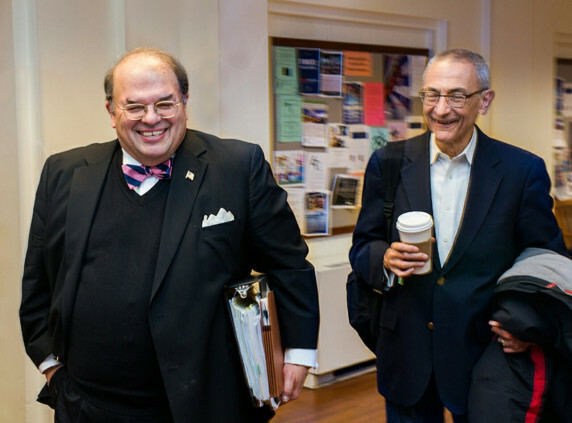 2 —Judge Richard J. Leon (L) and John D. Podesta (R) have co-taught a Georgetown Law course for decades. (Oct. 27, 2017)—On May 26, 2009, Russian oligarch Yuri Milner invested $200 million in Facebook private stock brokered by his Russian partner Goldman Sachs through his Mail.ru/Digital Sky Technologies/DST company. 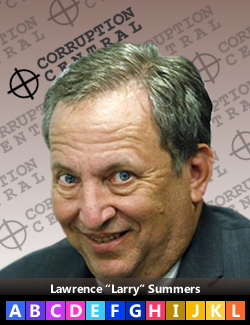 Milner had worked for Obama’s 2008 bailout director Larry H. Summers when he was chief economist for the World Bank in the early 1990’s as a researcher along with Sheryl K. Sandberg. Harvard economists including Summers, Sandberg and Milner helped create and exploit the current corrupt Russian oligarch economy for the Deep State. See Ellerman, D. (1999). Lessons From East Europe’s [failed] Voucher Privatization. World Bank, fns. 2, 11. See also Ellerman, D. (Sep. 14, 2005). Larry Summers' irresponsible Harvard wunderkind 'Big Bangery' and 'globaloney.' World Bank. Sandberg later became Summer’s chief of staff at the U.S. Treasury under President Bill Clinton. Summers and Sandberg helped the C.I.A. establish their "private" and highly illegal venture capital company In-Q-Tel. Then, when Summers became Harvard president and Mark Zuckerberg’s handler, Sandberg moved to Google and started Gmail. She then became Facebook’s chief operating officer in Mar. 14, 2008. While Sandberg was starting Gmail, Milner was busy in Moscow, Russia starting Mail.ru and Digital Sky Technologies (DST). The intent to takeover global communications is evident in hindsight. Fig. 4 – On Jun. 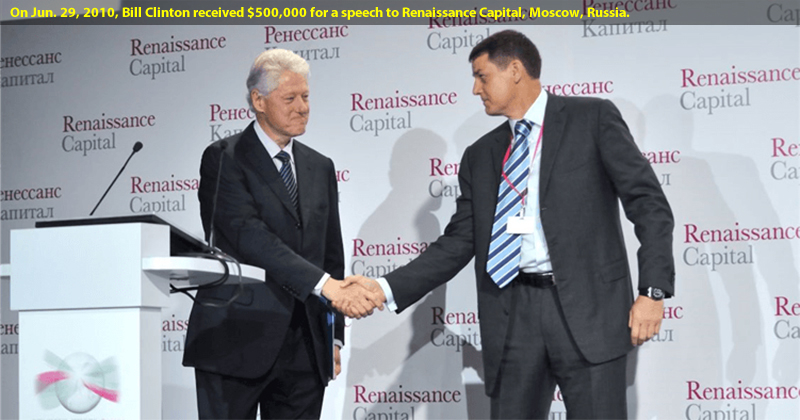 29, 2011, former President Bill Clinton was paid $500,000 for a speech in Moscow, Russia. Tellingly, Cisco, Intel and Google provided $1 billion to fund Vladimir Putin's technology project Skolkovo just two days earlier. See Becker, J., McIntire, M. (Apr. 23, 2015). Cash Flowed to Clinton Foundation Amid Russian Uranium Deal. The New York Times. On Sep. 26, 2009, Hillary Clinton and the State Department entered into a secret contract with Facebook for $120,000 (GSA SAQMMA09M1870) to build “a template for winning elections using advanced Facebook marketing.” The next month, on Oct. 16, 2009, Hillary promoted Facebook on a video presentation to a U.S. State Department-funded Alliance for Youth Movements Summit in Mexico City. This contract was not known because Hillary had hidden it on her private email server in the basement of her house. It first came to light through the dogged work of Judicial Watch who obtained it in Apr. 03, 2014. See also TIMELINE. Fig. 5 – On Oct. 16, 2009, Hillary promoted Facebook in U.S. Dept. of State video while MArk Zuckerberg was defiantly stonewalling review of his 2003-2004 harvard computers and emails. Video: U.S. Department of State. Fig. 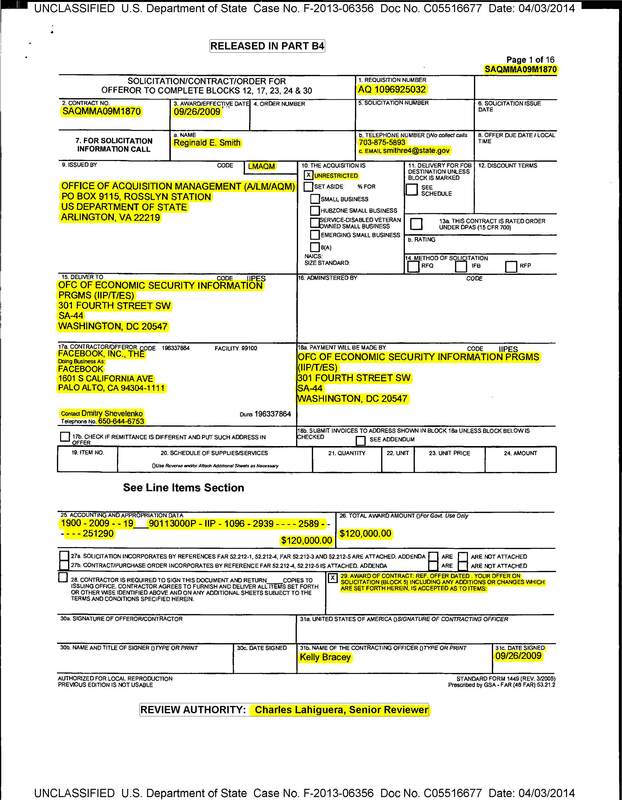 6 – Hillary Clinton and the State Deparment contract with Facebook to rig elections using facebook. U.S. Dept. of State Contract. (Sep. 26, 2009). U.S. Dept. of State Contract. (Sep. 26, 2009). Facebook pages to build an international community to discuss relevant issues of the day. Contact: Dmitry Shevelenko. Facebook Contract SAQMMA09M1870, Judicial Watch v. U.S. Dept. of State, Case No. F-2013-06356, Doc. No. C05516677, 04/03/2014. This contract was managed for Facebook by managed by Dmitry Shevelenko. In Feb. 2011, Hillary engaged with Facebook executives, including Sheryl K. Sandberg, to help her draft her flagship speech on "eDiplomacy" euphamistically titled "Internet Freedom." Tellingly, Hillary and the State Department stonewalled release of the drafting emails of this speech from a Judicial Watch FOIA request. Sandberg: "All of us at Facebook are grateful for the opportunity to offer our ideas and suggestions [on the Internet Freedom speech] as Alec Ross and others were field testing elements of the framework." Hillary's State Department went so far as to actually publish four "Facebook Field Guides" for the State Department's implementation of Facebook worldwide. Hillary hid these Facebook Field Guides on her personal email server and had to be ordered by a federal judge to release them to Judicial Watch. Fig. 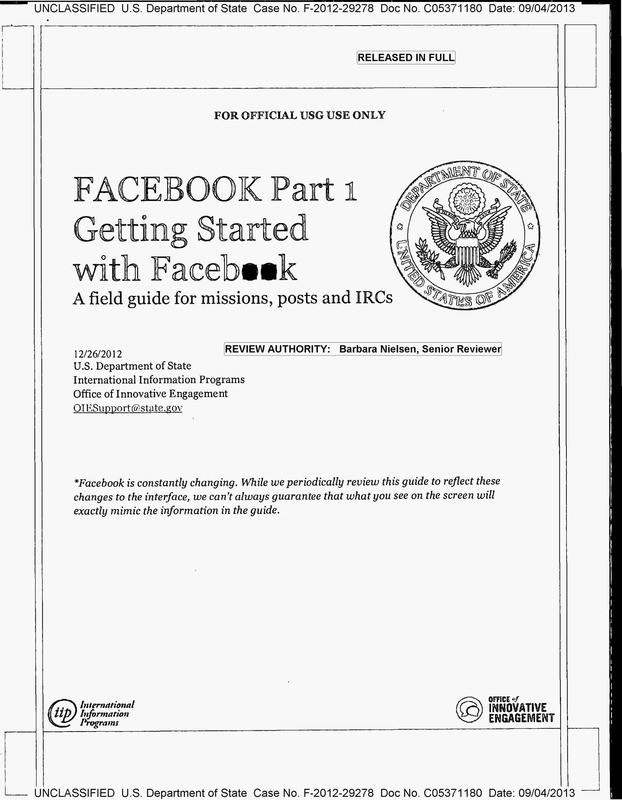 7 – Hillary and her state Department published a four-part "field guide" for implementing facebook globally. United States. Department of State. Facebook Part 1: Getting Started with Facebook - A field guide for missions, posts and IRCs. International Information Programs, Office of Innovative Engagement, Dec. 26, 2012. Judicial Watch v. U.S. State Department, Doc. No. C05371180, Case No. F-2012-29278, 09/04/2013 (promotes insecure Facebook and Gmail email use; this first numbered document in the four-part series is nonsensically the last dated item). This is yet another example of the obstruction of justice by Hillary and the U.S. State Department in Leader v. Facebook and Ceglia v. Zuckerberg. Readers are encouraged to get this article to your elected representatives. Ask them to: (1) pay Leader Technologies' Miller Act Notice (see below) for the last 17 years of free use of their social networking invention that Hillary obstructed, and (2) prosecute Hillary and her racketeers for her Uranium One and digital election rigging racketeering and treason. Fig. 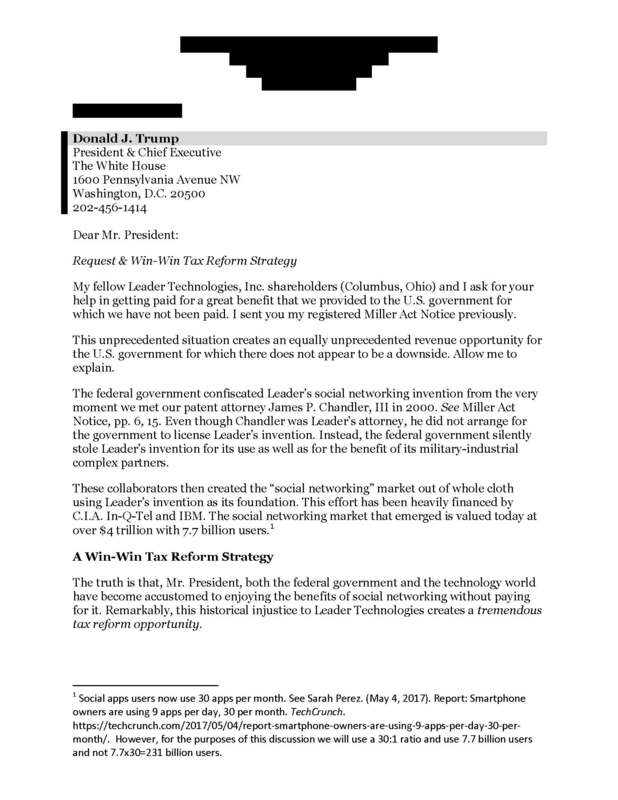 8—Cover letter to President Donald Trump from many hundreds of Leader shareholders across America beginning to send Tier II Miller Act Notices to the White House asking the federal government to finally pay them for using their social networking invention for the last 17 year, since 2000 when Clinton national security advisor James P. Chandler, III first learned of Leader's innovation. See previous post. 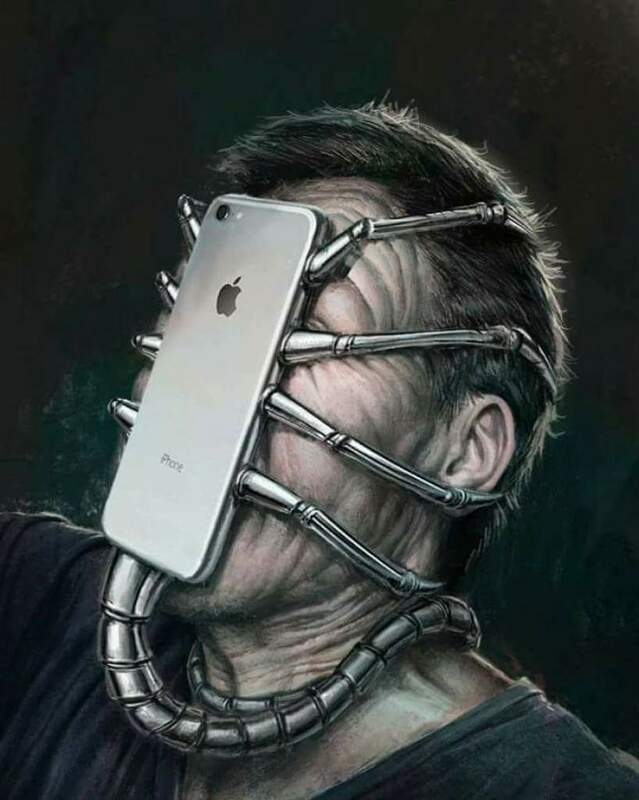 Alt-media coverage of the theft of Leader Technologies’ social networking invention is exploding, including the following. You are encouraged to share the TinyURLs for these articles and videos widely. Spread the world for truth and justice. Fig. 9 – Mike DePinto. (Oct. 26, 2017) . 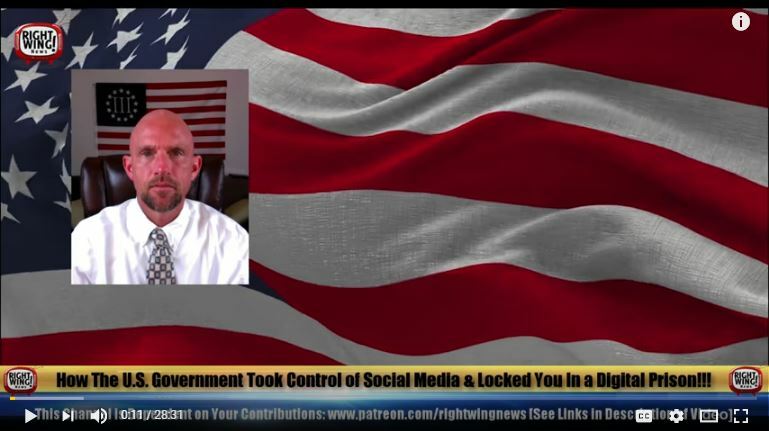 Our Defense Dept Weaponized Social Media Using Patent Theft Right Wing News. Fig. 10 – Anonymous Patriots. (Oct. 26, 2017). 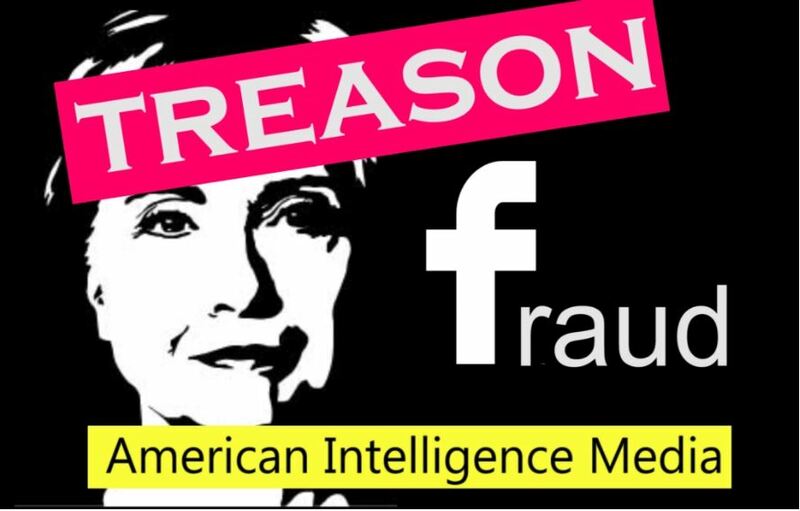 Hillary paid Facebook to rig elections while colluding with Russian Uranium One. American Intelligence Media. Fig. 11 – Anonymous Patriots. (Oct. 16, 2017). Lock down on prison planet almost complete. American Intelligence Media. Fig. 12 – Anonymous Patriots. (Mar. 29, 2017). 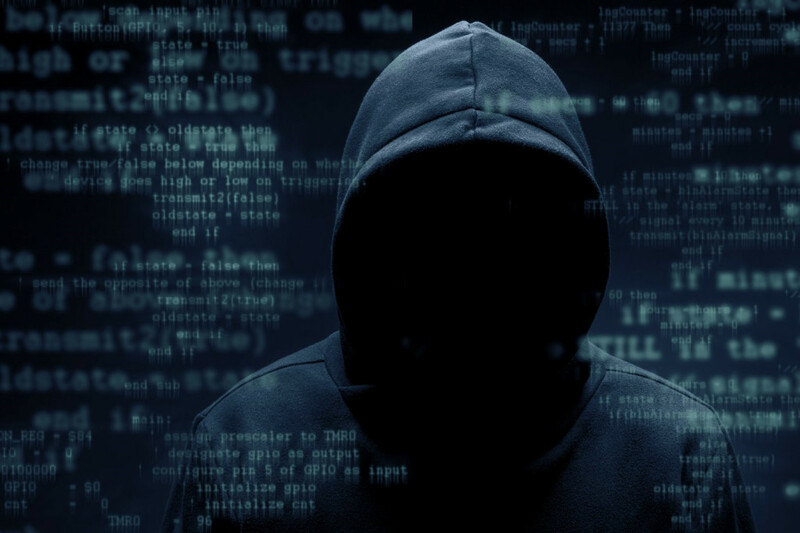 Weaponization of social media: Takeover of global digital infrastructure. American Intelligence Media. Fig. 13 – Anonymous Patriots. (Mar. 27, 2017). 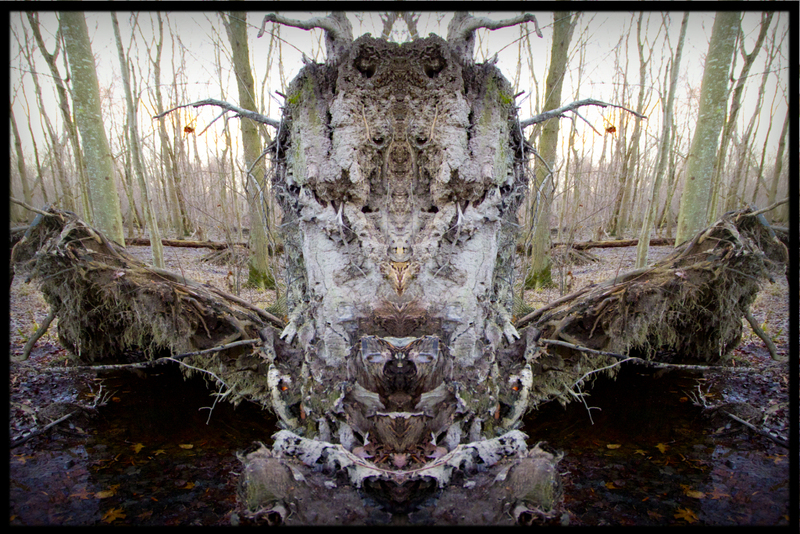 Swamp found. Reveals weapon of mass intelligence. American Intelligence Media.